The Oakwood Centre is a community space housing 7 meeting / community rooms, a theatre and Woodley Town Council’s offices. All the rooms and the theatre can be hired by residents, non-residents, groups or companies. The facility is owned and run by the Town Council. 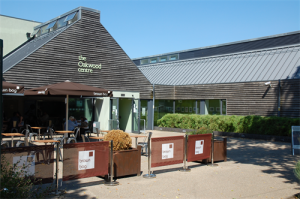 The Oakwood Centre has 7 modern, light and airy rooms to hire suitable for 2 – 150 people. We have self contained and interconnecting rooms so we can offer you exactly what you need. The capacity of each room varies depending on your preferred seating plan. Unless you require specific decoration within the room, rooms are set up to suit your requirements and broken down after you leave. Within the Oakwood Centre, the theatre can accomadate up to 100 people and is ideal for theatre productions, dance shows and classes, training and conferences. For more information about the Oakwood Centre. We have two halls to hire, both are close to the town centre. Coronation Hall is on Headley Road, across the park from the Oakwood Centre and Chapel Hall is on Loddon Bridge Road. Suitable for daytime and evening use. Ideal for daytime and evening use, however evening parties are not allowed due to it’s proximity to residential housing. A committee room is also available at the rear of the hall should you require extra space.